Mobility- These vans can travel around different areas and serve to lots of people. This is the prime feature that makes them stand out from the others. Wherever you are, the vans can reach and make your desserts menu a lot more interesting. Eco friendly- These vans are eco friendly in nature and hence leave no pollution as they cover the distance to serve the ice cream. 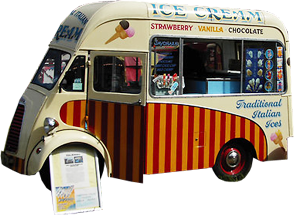 Some of the most popular flavours that are available in these vans are mentioned below- Caramel Fudge in Clotted Cream, Black Currants in Clotted Cream, Honey and Stem Ginger, Honey Comb, Mr. Whippy and some gluten free sorbets too. With the beginning of summer, the demands for ice creams are ever on the rise and people want to get the best flavours. 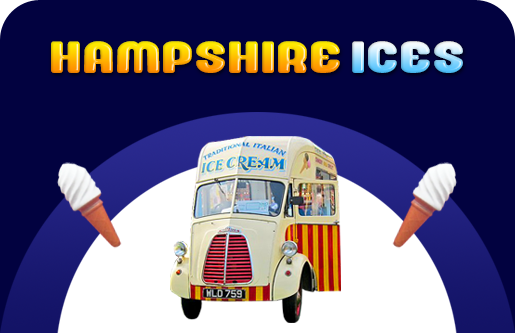 Hampshire Ices is one of the most popular mobile ice cream companies for any event which needs an ice cream vans. We aim to provide high quality ice creams that will be loved by your guests. 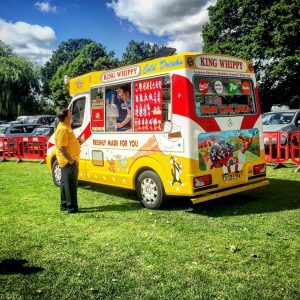 We also have Vintage Ice Cream Van Hire in Surrey and Hampshire as well as small and retro style vans to suit the theme of the event you are calling us for. Get in touch with us today and enjoy your favourite ice creams desserts in the upcoming event you have planned for.